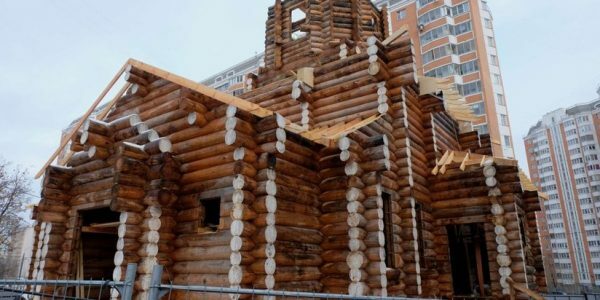 Since the start of the “Program 200” project in 2010, 85 churches have been built in Moscow, with another 150 planned, program curator State Duma Deputy Vladimir Resin said, reports Interfax. The program was originally meant to build 200 churches, so everyone in the capital would have a church within walking distance, but the program has since expanded. “In just 8 years, 85 church complexes have been erected in Moscow within the framework of the program and beyond it. 59 of those have already been put into operation, including 9 in ‘new’ Moscow,” Resin explained. In all, 193 church complexes in Moscow, 18 in “new” Moscow, and 22 more are included in the program, making 233 churches in all. The plans for 2019, at various stages of construction, include 29 churches: 25 strictly within the program, and 4 others. In the first years of the program, churches were being built to accommodate 200-300 people, depending on the size of the proposed plot. In the end, it was decided to build the churches with a 500-person capacity, which requires a 1.5-acre plot of land. But Resin says, a 1,000-peron capacity could be even better, with smaller churches better suited to farther out regions. The main objective of the program is to build enough new churches throughout the capital so that there is always one within walking distance in the residential areas. The program runs entirely on the donations of citizens and organizations. A foundation established for collecting funds is co-chaired by Moscow Mayor Sergei Sobyanin and His Holiness Patriarch Kirill of Moscow and All Russia.